WASHINGTON — If the economists who testified at FERC’s technical conference last week agreed on nothing else, it is that a carbon adder is the simplest way for the power markets to value emission-free generation. New York is going to try and translate the theory into practice as a way of addressing the impact of the state’s zero-emission credits (ZECs) for its upstate nuclear plants, officials told FERC. On the first day of the two-day conference (AD17-11), state and NYISO officials asked FERC for time to develop their plan even as merchant generators called for immediate action to block the subsidies or respond to their effects on the wholesale markets. The ZECs are part of New York’s Clean Energy Standard, which mandates reducing greenhouse gas emissions by 40% by 2030, from a 1990 baseline, and by 80% by 2050. The CES also calls for renewables to meet 50% of the state’s energy needs by 2030. The subsidies will support Exelon’s two-unit Nine Mile Point, and the single-unit R.E. Ginna and James A. FitzPatrick plants for more than 12 years at a cost estimated as high as $7.6 billion. (See NY Legislators Frustrated by Lack of Answers at ZEC Hearing.) 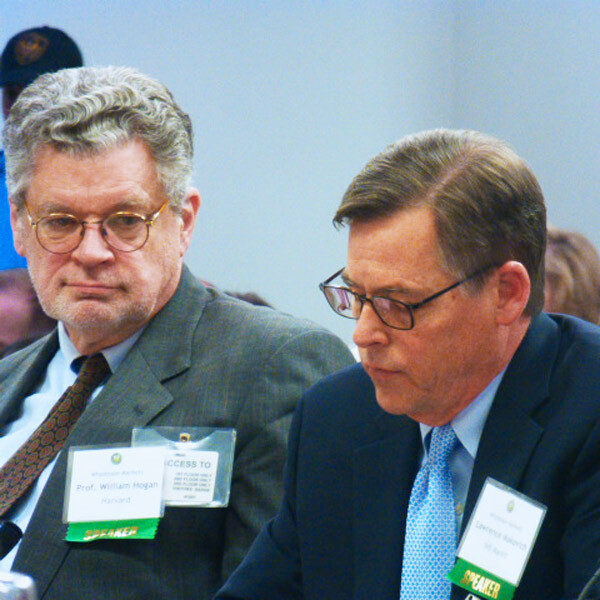 At a legislative hearing into the ZEC program in Albany on May 1, however, New York Public Service Commission interim Chair Gregg Sayre said he expects the actual cost may be much less, perhaps as low as $2.86 billion. 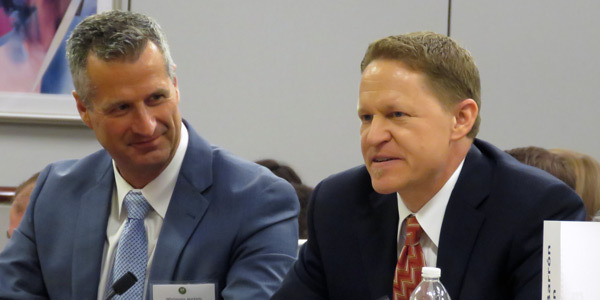 NYISO CEO Brad Jones told FERC that while the ISO supports the ZEC program, it wants to find a way to incorporate the payments into the wholesale market. Jones said the project was in its “initial stages” and that implementation could take three years. That is too long for other stakeholders. John Reese, senior vice president of Eastern Generation, said the issue is particularly acute in New York, which has a one-year forward capacity auction, unlike the three-year auctions in PJM and ISO-NE. Eastern Generation operates almost 5,000 MW of generation in NYISO and PJM, including 18% of New York City’s capacity. The Independent Power Producers of New York argued that the state’s goals and its energy markets have reached a crossroads, saying that out-of-market solutions threaten the ability of the wholesale market to meet system needs at the least cost. The NYISO discussion focused on several questions, some of which will also be central to challenges to the ZECs in court and before FERC: state vs. federal jurisdiction; the price suppressive impact of ZECs; and the efficacy of saving at-risk nuclear plants versus replacing them with renewables. Do ZECs Interfere with the Wholesale Markets? The Supreme Court has attempted to draw the lines between state and federal jurisdiction over the power industry in a series of rulings, most recently the January 2016 ruling in EPSA v. FERC, in which the court upheld FERC’s jurisdiction over demand response, and the April 2016 order in Hughes v. Talen, which rejected Maryland’s subsidy of a generator that could have undermined PJM’s capacity auction. New York regulators took pains to ensure the ZEC program complied with the court’s advice in the latter case. “Nothing in this opinion should be read to foreclose Maryland and other states from encouraging production of new or clean generation through measures ‘untethered to a generator’s wholesale market participation,’” the court said. “Rather than opening this discussion with the question of how state policies can be implemented through federally regulated wholesale markets, we should ask, ‘should they?’ An attempt to select resources through the federally regulated wholesale markets to achieve individual state policies may undermine, even if unintentionally, those very state programs,” he said. “By incorporating state policy into the wholesale markets, the state would have to seek a tariff change to reform its own policy. Rather than attempting to “absorb” state policies into the federal wholesale markets, Weiner said, FERC should consider removing barriers to new entry by state-supported resources by eliminating buyer-side mitigation. “New York, like other states, does not seek to suppress wholesale market prices. Ending application of this false assumption eliminates the need for market rules based on that presumption,” Weiner said. Exelon also insisted that ZECs are not vehicles for price suppression, comparing them to the renewable energy credits (RECs) issued in support of state renewable portfolio standards. Others counter, however, that it is the impact of state policies on prices — not policymakers’ intent — that is at issue. David Patton, president of Potomac Economics, which provides market monitoring in NYISO and ISO-NE, said nuclear subsidies can be much more damaging to wholesale price formation than renewable subsidies because solar and land-based wind have low capacity values. And even renewables are having a significant impact on prices, Lawrence Makovich, chief power strategist for IHS Markit, told FERC. He presented analysis that he said demonstrated that wind output suppressed PJM prices by about 24% during the top net load hours in 2015, when peaking units were setting the price. Wind suppressed prices by 4% when net loads were average and by about 9% during minimum load, he said. “On the cost side, compensating for the impact of wind … [caused] load-following generators to increase output ramping and starts and stops, causing less production efficiency and higher [operating and maintenance] costs,” he said. Is Preserving Nukes the Best Policy Choice? Exelon says ZECs are justified because it would take too long and be too costly to replace the zero-emission capacity of at-risk nuclear plants versus renewables. “When a nuclear facility retires, it cannot feasibly be replaced by renewable generation in the time necessary to avoid a spike in emissions. Instead, it will be replaced predominantly by fossil fuel-fired plants emitting significant carbon and other air pollution,” Exelon said. Similarly, the closure of the San Onofre nuclear plant in early 2012 “resulted in an increase in emissions that more than offset all of California’s investment to date in wind, solar and biomass generation,” Exelon said. New York concluded replacing its nuclear fleet would require that it triple its energy-efficiency targets or construct 9,000 MW of onshore wind or 22,000 MW of solar. NRG’s Silverman, however, said New York chose an expensive path. 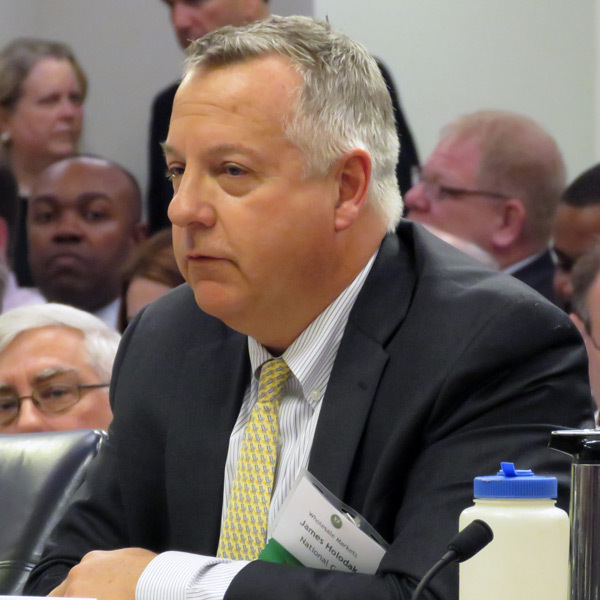 The impact of state mandates on load-serving entities was the key concern of James Holodak Jr., vice president of regulatory strategy and integrated analytics for National Grid, which owns LSEs in New York and New England. Holodak said National Grid’s Niagara Mohawk Power subsidiary was forced to absorb $2 billion in stranded costs as a result of New York legislation that required utilities to buy electricity from independent power producers for at least 6 cents/kWh, a price higher than utilities’ production cost. Holodak said the law forced Niagara Mohawk to sign contracts for output in excess of its actual demand and helped increase the utility’s rates by 25% between 1990 and 1995, causing many industrial and commercial customers to seek alternative suppliers or lower-cost locations. Holodak said New England states with mandates should adopt a structure similar to that in New York in which each LSE is required to purchase the ZECs from the New York State Energy Research and Development Authority while recovering the costs from its customers. “In this instance, NYSERDA acts as the middleman, which advances the state’s policy goals and presents less risk for utilities than under a mandatory contracting model between the generator and the utility,” Holodak said. He also made a case for allowing utilities to own renewables rather than being required to purchase them. 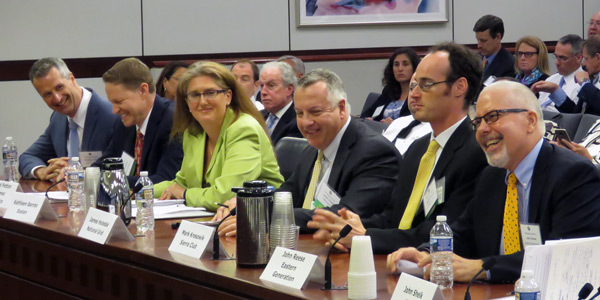 More than 50 stakeholders from PJM, NYISO and ISO-NE made their cases to FERC on how to resolve the increasing conflicts between state energy policies and wholesale markets.